Here’s a story about something that occurred the other day. It is one that I am still processing and trying to wrap my head around. It took place at the cafe I work at in a bad part of town. Unless, someone is in full blown addiction then it is awesome. A gentlemen came up to the window and asked for a water. He avoided eye contact not wanting to expose his addiction. I saw behind it. I had had that same look. Glancing at the ground hoping no one recognizes that I am high. We were going to throw out some sandwiches so I gave him a bag of food and asked if he had a warm place to stay. He smiled and said that he did. I told him about my recovery, breaking the ice on the topic of heroin. I told him about the NA meeting I go to up the road. He looked down, ashamed at his addiction. “It’s OK. Just keep fighting.” I told him. Several days later I was in the backroom and a co-worker with a worried expression said that someone wanted to talk to me. I went out and saw that it was him. My face lit up and I said, “hey! hows it going” He started crying and said that he got sober because of me. Rather, that I inspired him to get sober. Fighting tears I hugged him then resumed working. My co-worker said that I was nice to all the insane people. I quickly responded that they aren’t any different than we are. They are still humans and should be treated with respect. Over the course of the next few weeks he would come in periodically and talk with me. I am the only person in his life who asks how he is doing or what he is up to. I am unsure the last time he was able to look someone in the eyes. From the discussion it was a very important detail. He repeated it several times during the discussion and gave me multiple hugs. He has begun telling other people to go visit me. As if I am some heroin sage working on the east part of town. The guy who will always ask how you are doing even when you are loaded as hell. 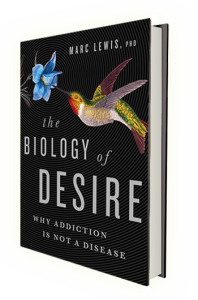 In my experience, heroin creates the illusion of love and intimacy. There is no substitute for real love and intimacy. I may have inadvertently become the cafe heroin shaman that gives food to drug addicts and asks how they are doing. Only because there is a double pained glass that I can lock. I haven’t had to lock it yet. Matthew, you’ve been able to be like Paul….comforting others with the comfort you’ve received. I so appreciate your voice and your kind heart. He is 2 years clean at the young age of 21. He has been battling the demon since he was 15. I am lucky to still have my loving son. His greatest high now his his service to others. Keep fighting the fight Matthew. I love this – because it is something my son would do, high or not. I pray every day that he gets back to being able to help others again, which always has been – and still is – his greatest character trait. Look forward Eric – it can be!! Beautiful! You set an example for all of us. How different would the world be if people showed just a tiny bit of kindness to addicts? I am only alive now because people showed immense kindness to me. I can’t live long enough to pay it back but I will keep giving out that which I was so freely given. Thank you so much Matthew for your story. it’s incredible how just some encouragement and motivation and can go so far. I personally use addiction recovery quotes to keep up my motivation and try to inspire others and understand how powerful the mind really is. You’ve already done more than most rehab centers. Community and connectedness, a reunion of humanity is all we need to defeat most of our problems (poverty, homelessness, obesity, and others–including addiction). Never stop caring—it’s the final thread that’s holding us together. Caring and accepting are what addicts need the most. Often times when someone cannot understand being an addict, if someone they know or don’t know relapses they get shamed for it. So then you feel alone and less then human for not being able to control something you really want control of. I love this story and hope you continue to be open and caring. We all know then a person will fight when they are ready. He seemed to be ready and you gave him the love and hope he needed to fight. God bless you. A wonderful story, thank you for sharing Matthew. This is a great reminder of the many opportunities we have on a daily basis to connect with others and offer them support and encouragement through the most basic of gestures. Simple being human goes a long way. It makes me wonder about the many opportunities we have all missed to do this at times, but encourages me to keep my eyes open towards the future.